Meetings - Be prepared to spend a lot of time in meetings! When you have a new placement there is a lot of meetings, and then reviews. Being available to attend these meetings is really important. Sometimes as foster carers it can feel like you're overlooked, you're not a 'professional'. But you will get to know your child better than the other professionals so you need to develop a strong voice, you are advocating for the child. Keep your radar on, as sometimes meetings can be arranged without you even being invited - if you feel you need to be there speak to your SSW and ask for an invite. And also, be aware that you can get a request at 4:00pm for a 9:00am appointment the next day! Whenever possible Jeff and I will oblige, but be ready to say "No, sorry, I cannot do that, I have plans". Memorabilia Box - Along with the scrapbook I make we also keep little things that will trigger good memories. These can be varied and include anything from drawings, certificates, theatre tickets, birthday cards. 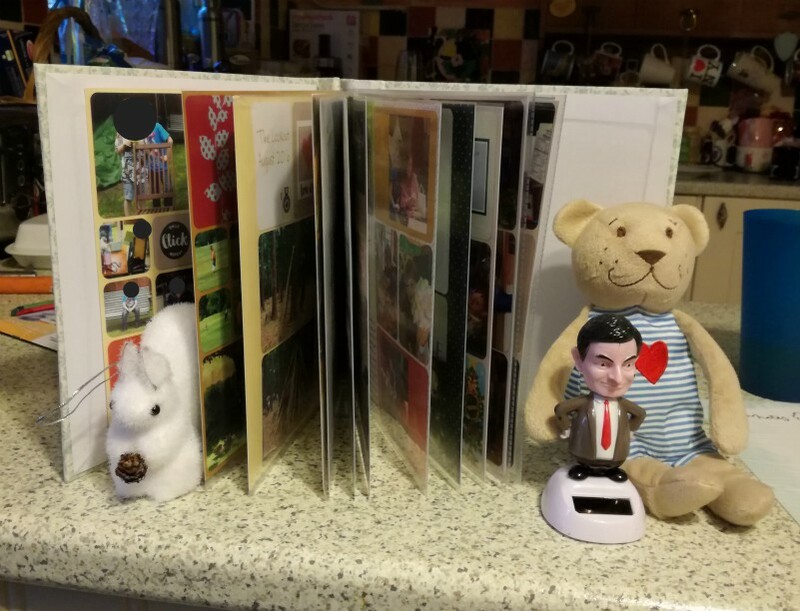 In this one we included a Christmas tree decoration we chose especially as we had a squirrel visit the garden every day, a teddy, which was one of a pair, one we gave to the fosterling and the other to Ella, and a nodding Mr Bean. He loved our nodding flowers in the garden, and loved Mr Bean. So when we saw this how could we not add it to his box? 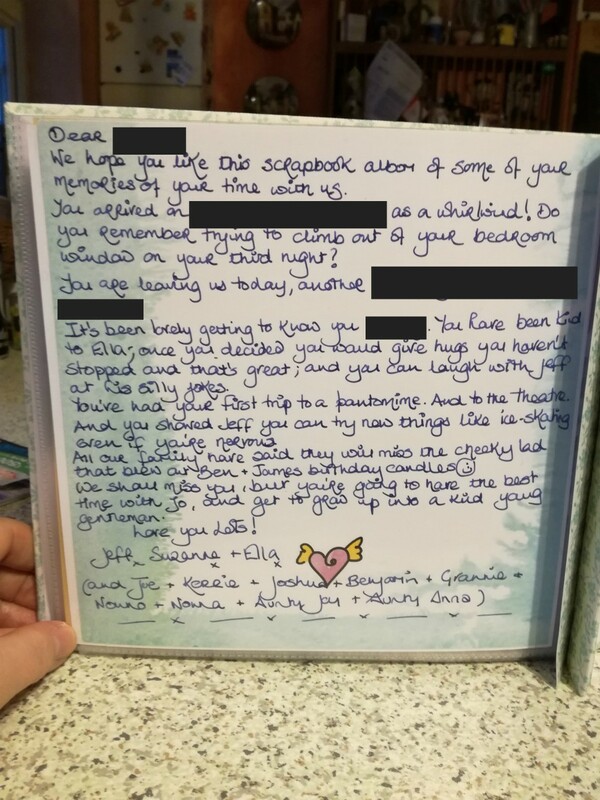 We also include a letter for the child. Missing from Care - If a child goes missing then the police should be phoned immediately as with any missing child. You will be given a Crime Reference Number and as soon as you have this you need to telephone social services and advise them of the situation. Mother and Baby Care - This is another type of foster placement where you have both the baby and mother/father stay with you while the mum develops the skills needed to care for her baby. Being foster carers is such a wonderful service, Suzanne! 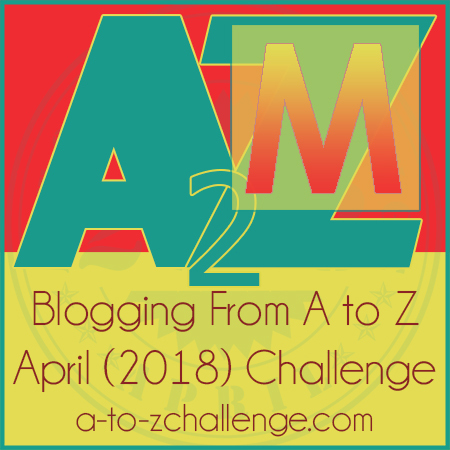 This is a beautiful theme for the A to Z Challenge. Glad to meet you via Dragon's View. 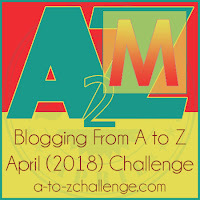 <3 Thank you for stopping by my blog. I've been watching "This is Us" series on TV and see how challenging foster care can be. I admire people who are willing to give their time and care to children who won’t be with them for long, it sounds as if you have found ways to make their stay with you a good memory in their lives, whatever happens afterwards. A workmate of mine has taken on permanent fostering of two brothers. She and her husband were not allowed to adopt because of age, but they are her sons now anyway, call her Mum and are happy - they had been badly treated in their old lives. 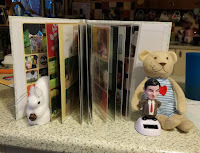 I just love it that you make the kids a scrapbook and memory box.